Hey Nonny is dressed to the nines ready for a date night! Immediately upon entering Hey Nonny, we noticed a sophisticated vibe. 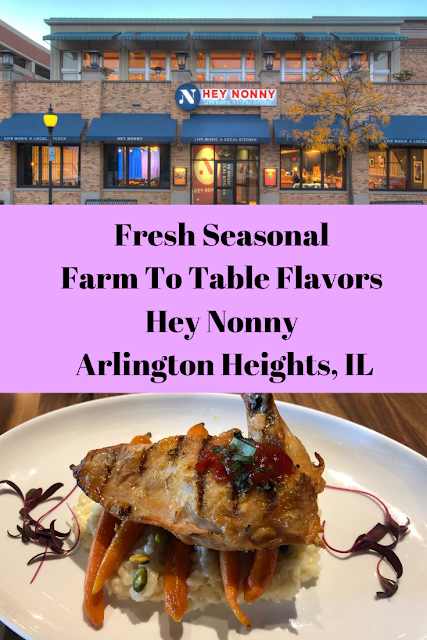 Hey Nonny has a fabulous date night ambiance, so we really felt like we were savoring a night away from parenting. 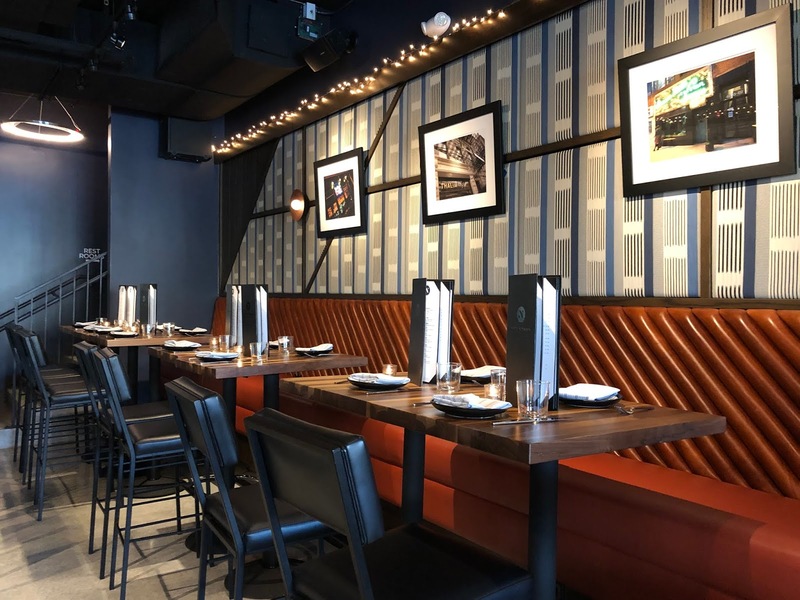 Hey Nonny is also an entertainment venue featuring a plethora of music genres including jazz, blues, rock, folk, country, bluegrass and more with a focus on creative music. 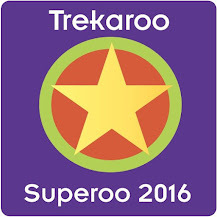 On this evening, we came for a wonderful dinner but would like to experience a show in the future. If you are looking for a musical evening out at Hey Nonny, I do recommend reserving tickets. Flip over the back of Hey Nonny's menu to see where items are sourced! We settled in to peruse the menu. 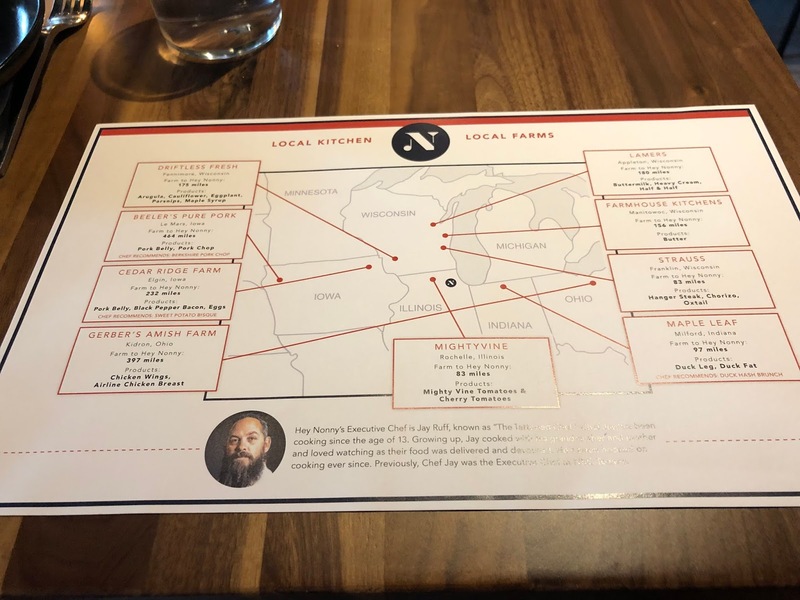 I LOVE LOVE LOVE how Hey Nonny utilizes the back of the menu to show where local items are sourced from. 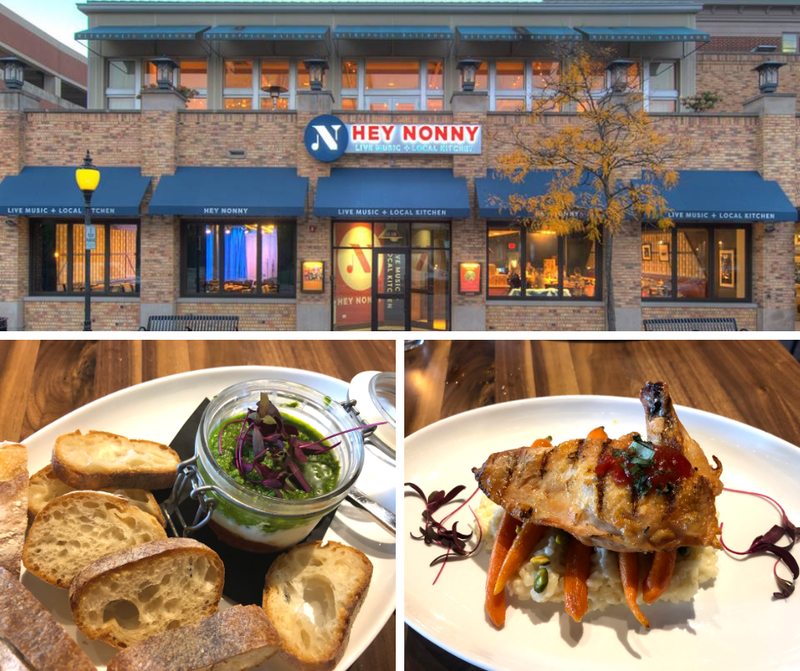 Hey Nonny's menu features tantalizing items including small plates, jars and boards, soups, salads and entrees. 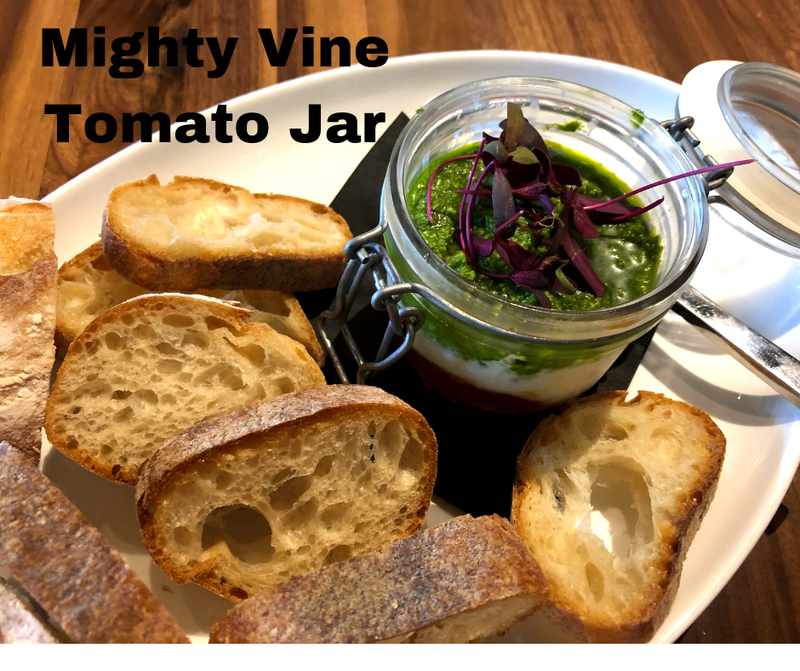 I was totally like a kid in the candy store choosing, but eventually settled on the Mighty Vine Tomato Jar. I mean, who can resist an adorable little jar? 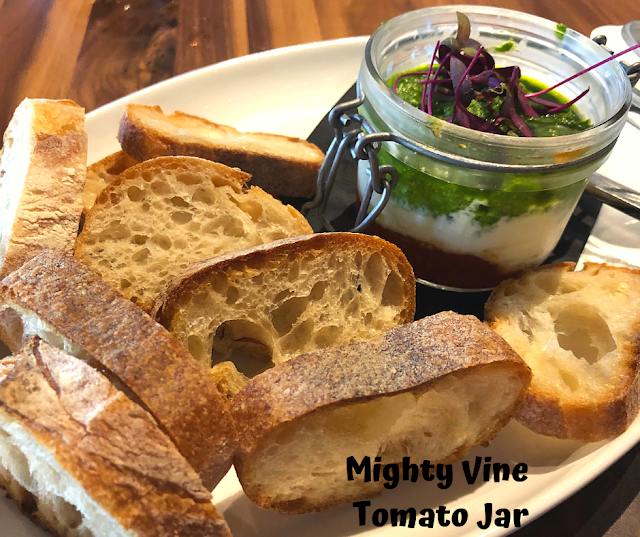 The jar came fully layered with MightyVine tomatoes, stracciatella cheese and fresh herb pesto. We enjoyed the layered components upon baguette slices. Delicious and fun! I have to say MightyVine tomatoes are incredibly sweet! 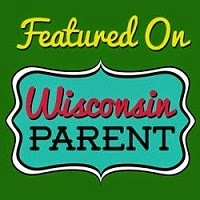 Interesting fact -- MightyVine tomatoes are grown in a glasshouse in Rochelle, IL. I ordered the Airline Chicken which I learned exhibits a special cut of chicken with the wing still attached so it kind of looks like an airplane. 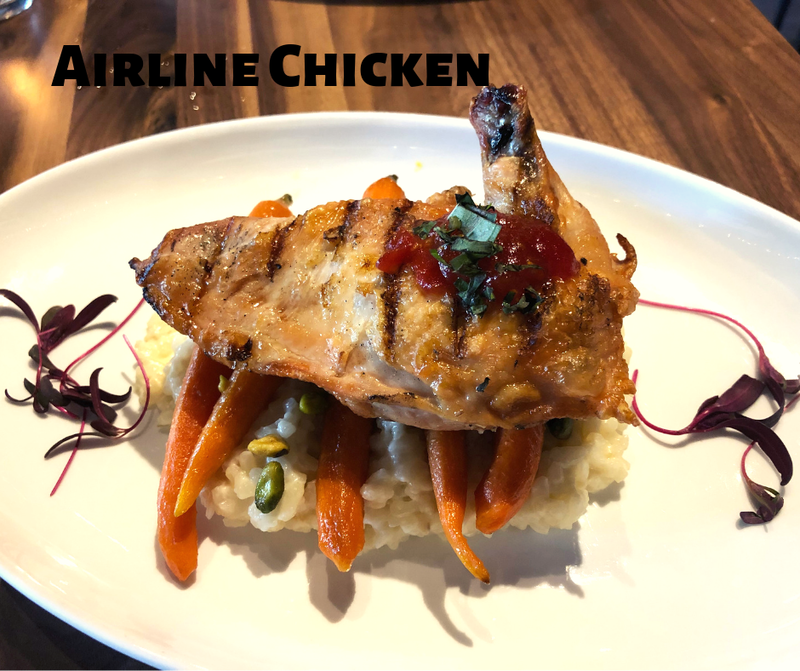 Chef Jay Ruff of Hey Nonny explains that while the chicken does look like an airplane, the recipe hearkens back to when airlines served great food. The Airline Chicken was served with lemon risotto, vibrant carrots and a serving of locally grown MightyVine tomatoes. The Airline Chicken was INCREDIBLE! While I loved the whole dish, I must admit that I REALLY loved the risotto. Great dish! Delectable Airline Chicken atop carrots and lemon risotto. 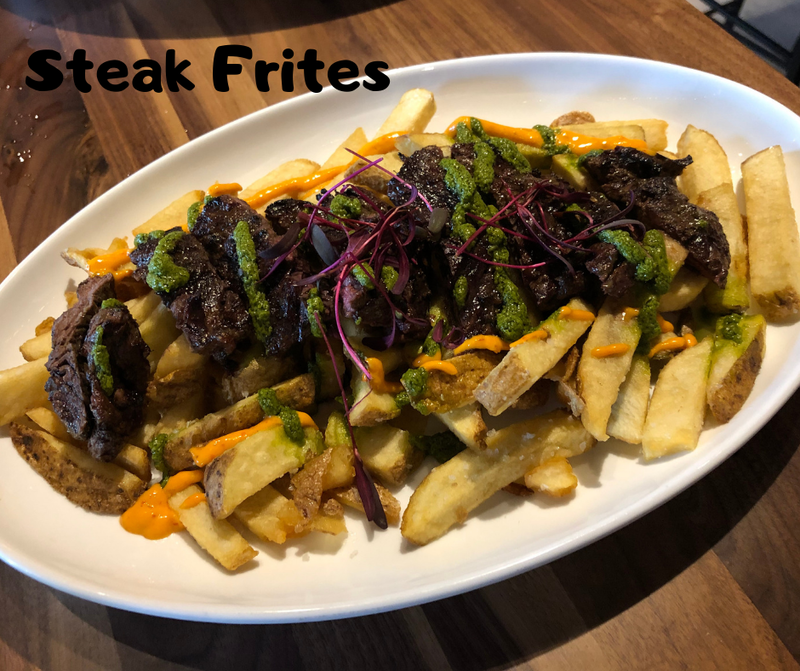 My husband explored the Steak Frites featuring calabrian creme, red wine glaze and chimichurri. The fries were deliciously fresh cut and the calabrian creme had a great kick! Our server informed us the most patrons love to ask for extra calabrian creme. I must admit, the kick is fun and the creme great for dipping frites! More please! The calabrian creme featured with the Steak Frites is a dipping favorite! We were out on the town, so we just had to order dessert! 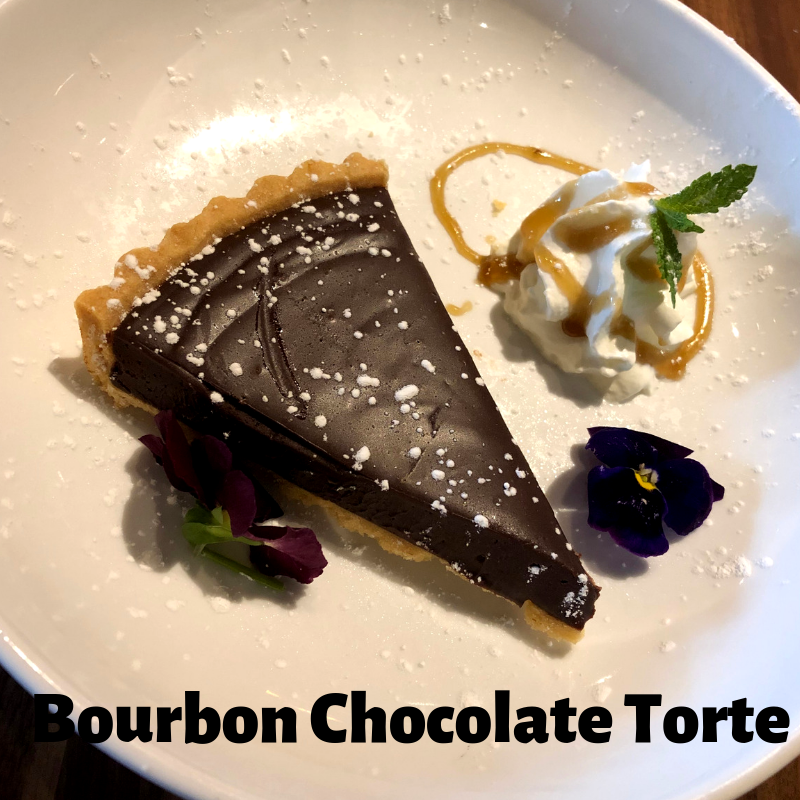 During our visit, Hey Nonny was featuring a Bourbon Chocolate Torte. We don't normally order dessert, so the torte was an indulgence. Oh my -- was it heavenly! The torte was truly decadent and just what we needed on a night out! So, just what does Hey Nonny mean? The name of the restaurant and music venue refers to that cheerful state of bliss that you experience when you let go of your cares and worries. In Shakespeare's Much Ado About Nothing, the song "Sigh No More" reminds women that men can be deceivers. So what should they do about it? The song explains, “Be you blithe and bonnie, converting all your sounds of woe into Hey Nonny Nonny.” Hey Nonny is also inspired by the Violent Femmes song "Hey Nonny Nonny" in which the singer attempts to suppress his wanton thoughts at the sight of a bathing beauty with "Hey Nonny Nonny!" 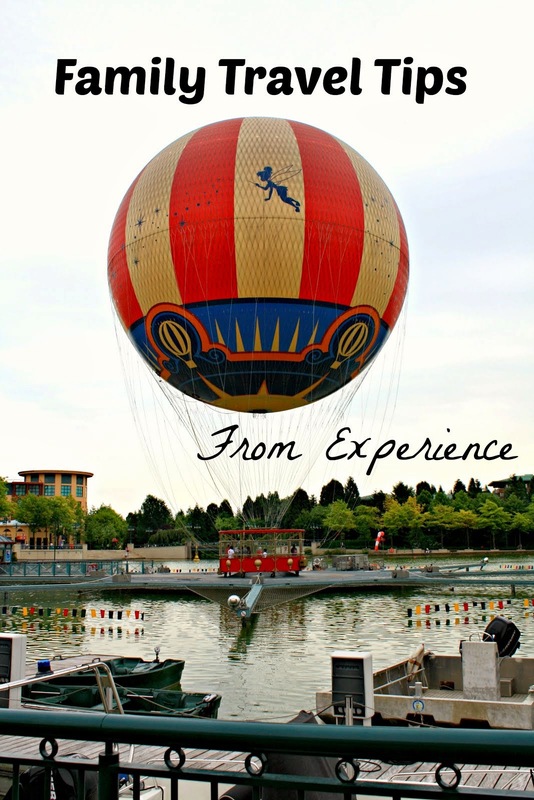 Fun and carefree! 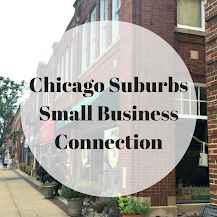 We are excited about future adventures at this new local bistro and music spot! Hey Nonny features a variety of different musical acts, so we would love to spend an evening or two enjoying local sounds. Additionally, we would like to explore the drink menu featuring fun cocktails and local spirits. Overall, Hey Nonny is such a well rounded spot for a date night whether you are looking for a dinner out or a drink or entertainment or a combo. Such a nice addition to the Arlington Heights community!